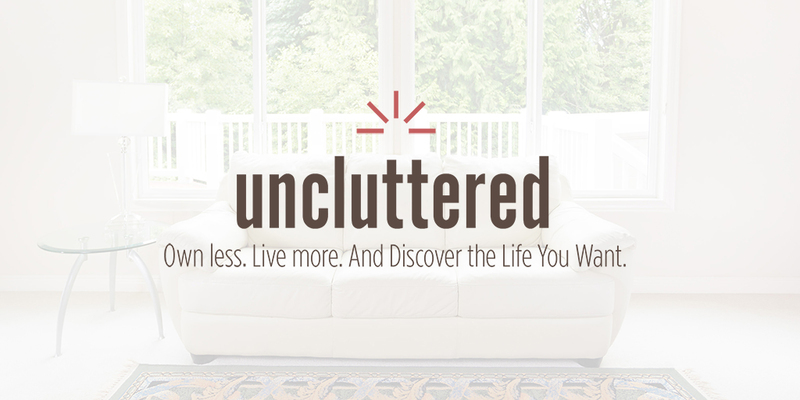 A while back I told you the opening story of our search for the "perfet" home. What we settled for was much less than our original list of "must haves", but it ended up being the place we have called home for the last 10 years and - after all the work we have done on it - the place we could see ourselves staying for the next 40. No sir, no such thing as a "starter home" for us - we like to go all or nothing. 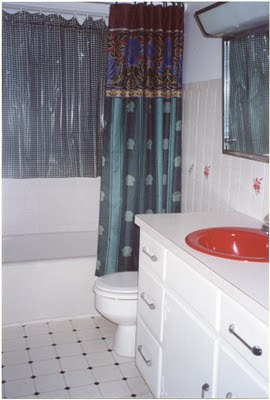 Outside of ripping out the walls in the kitchen, the first project we tackled was the solitary bathroom. Although you can't see it in the photo on the left, there was a wallpaper boarder around the top of the room - black and white piano keys. I still remember taking one look at the whole package - red sink, red/gold tiles, and medicine cabinet - and thinking, "Well, those have to go". This was a great opportunity early on for us to make the choice between what we could live with (i.e. would make our budget go further) and the things that wouldn't make the cut. For example, keep the tub, replace the fixtures (only after the plumbing started leaking behind the wall though). Replace the toilet, but keep the linoleum floor. Change the sink top and red sink but leave the sink base. Learn how to live with the white tiles with small gold specks, but remove the accent tiles and go with simple colbalt (rather than the subway tile I was dreaming of - I did get that later in our second bathroom). In this photo you can see that we still have the original plastic curtain covering the window (and its wooden trim) in the shower and that we still have the original cast iron tub, but all new fixtures. You can also see how we incorportated the colbalt tile edges around the entire bathroom to make it feel like it was supposed to be there - over the window and door (see photo below). I've tossed around the idea of painting the front of the sink base a dark navy blue, but I've just never gotten around to it, and honestly, it's just fine as is. Once we added a second bathroom for the master bedroom, the only people who use this bathroom are our occasional dinner/overnight guests. In the end we learned how to deal with the not-so-square walls (see the beautiful corner pieces we used with the crown moulding - they are great for old houses/walls!) and we got over the desire to tile the floor (the linoleum is easier to clean!). Like the rest of the house, our list of "wants" got smaller when faced with the reality of the budget. Truth be told, I love our little bathroom (especially since I did get my second - and even third - bathroom after all the additions were done). What have you learned to live with that in the beginning you thought would never work? A wall color? Number of bedrooms? A kitchen that seemed impossibly small? In fact, if you did something on a small budget, I'd love to give you the opportunity to share your before and after pictures, so shoot me off an email if you're interested - couponcarriek (at) gmail (dot) com.